Previous posts examined key factors and initial company operations at a residential fire involving flashover that resulted in multiple firefighter injuries at a residential fire in Loudoun County, Virginia. This post will examine the action taken by the trapped firefighters and crews on the exterior. Reserve Engine 6 was performing fire attack on Floor 2 and Tower 6 had just completed searching the second floor when they experienced a rapid increase in temperature and thickening smoke conditions. Flames were extending from the first floor, up the open foyer and staircase, trapping the two crews on Floor 2. When the firefighter from Reserve Engine 6 opened the nozzle, the line immediately lost pressure. The engine company officer attempted to diagnose the problem without success. Unknown to the engine crew, the hoseline had partially failed approximately 10′ from the nozzle, drastically reducing the available flow. Lacking an effective stream, the engine crew moved down the hallway towards Bedroom 2 in an attempt to find an alternate means of egress. Partial collapse of the ceiling separated the Tower 6 firefighter and officer. The firefighter joined up with the crew from Reserve Engine 6 in Bedroom 2. The Tower 6 firefighter partially closed the bedroom door, providing some relief from the increasing temperature. The two firefighters and officer trapped in Bedroom 2 were able to escape over a ladder placed on Side Charlie by the apparatus operator of Reserve Engine 6. It is likely that this quick action by the tower firefighter in closing the door had a significant impact on the tenability of Bedroom 2 for the time required for these three individuals to escape. Trapped in the Master Bedroom, the officer from Tower 6 attempted to break a window to escape the increasing temperature and thick smoke, but was unable to do so. He exited the master bedroom and eventually escaped through an unspecified window on Floor 2, Side Charlie. Read the report for additional detail on this incident. The crews of Reserve Engine 6 and Tower 6 who were on Floor 2 had completed survival skills and flashover training. Training and quick reactions contributed to their survival, but increased situational awareness, earlier recognition of developing fire conditions, and control of the fire environment would likely have prevented this accident. 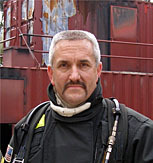 The next post will examine key issues in training focused on “reading smoke” as well as flashover and survival skills training. My last post provided an overview of the factors influencing the occurrence of flashover and multiple firefighter injuries at a residential fire in Loudoun County Virginia identified in the report released by Loudoun County Fire, Rescue, and Emergency Management. Let’s look at the events that occurred from the time of dispatch until flashover occurred. Loudoun County Emergency Communications Center (ECC) dispatched four engines, a truck, rescue, ambulance and two chief officers were dispatched to a reported house fire at 43238 Meadowood Court. The caller reported a fire in the area of the sunroom on the first floor of the home at this address with smoke coming from the roof. Subsequent callers reported heavy smoke in the area. While the call taker received information about the location of the fire in the building, the dispatcher did not pass this information to responding companies. The first arriving company, Reserve Engine 6 reported that the building was a two-story, single-family dwelling with a fire in the attic or running Side Charlie. Uncertain of the status of building occupants, the engine company officer assigned the truck to perform primary search. As part of his size-up, the engine company officer walked from Side Alpha around Side Delta to the Charlie/Delta corner to assess conditions. Unfortunately, from this position, he was unable to observe the fire in the area of the sunroom on Floor 1; this factor would become extremely significant over the next seven minutes. Reserve Engine 6 was staffed with a crew of three, and the firefighter and officer extended a 200′ 1-3/4″ (60.96 M 45 mm) preconnected hoseline to the door on Side Alpha. As the hoseline was being deployed Tower 6, also with a crew of three, arrived on scene and the tower officer and firefighter joined the engine crew at the front door. When they entered the building, the crews of Reserve Engine 6 and Tower 6 encountered moderately thick smoke and no significant increase in temperature in the two-story (open) foyer. The smoke was thick enough that they had some difficulty in locating the interior staircase. There is no indication that either crew picked up on the presence of significant smoke on Floor 1 as a violation of their expectation of a fire on Floor 2 or in the attic or a potential indicator that there may be a fire on Floor 1. As they proceeded up the stairs, the crews of Reserve Engine 6 and Tower 6 did not encounter an appreciable change in conditions. Smoke remained moderate, with no significant increase in temperature. Reaching the top of the stairs, the engine crew turned right towards the Master Bedroom. The crew from Tower 6 went left into Bedroom 1 and conducted primary search, venting a window on Side Alpha. 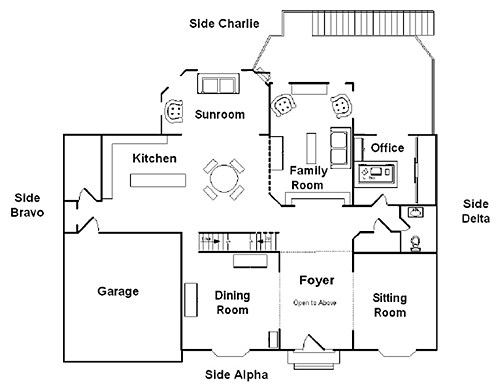 The report does not mention if the crew of Tower 6 closed the door to the bedroom while conducting their search or the position of the door when they completed their search of this room and continued to Bedroom 2. Computer modeling of fire development in this incident has not yet been completed and the report does not indicate that this change in ventilation profile was a significant factor in the occurrence of flashover or extension of flames to Floor 2. However, presence or creation of an air track with crews working between the fire and exhaust opening has been a factor in other incidents. For example, see NIOSH Report 99-F21 and F2000-04 as well as NIST Reports 6854 and 6510. 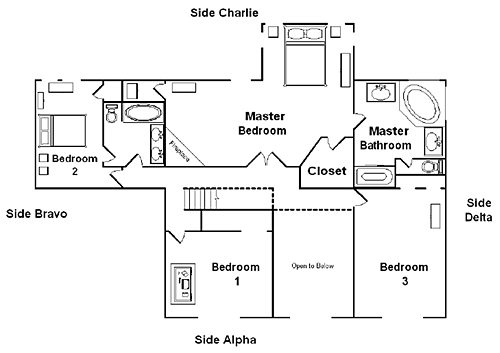 Entering the master bedroom, the crew of Reserve Engine 6 encountered thick smoke, an increase in temperature, and observed flames on the opposite side of the room (Side Charlie). The officer directed the firefighter to attack the fire while he opened a window on Side Charlie. Tower 6 completed the primary search of Bedroom 2 (no mention of the tower crew making any ventilation openings in Bedroom 2) and then completed a search of Bedroom 3. After finishing the search of Floor 2, the Tower determined the need to pull ceilings for Reserve Engine 6, but doe to the height of the ceiling, did not have tools long enough to accomplish this task. While crews were working on the interior, the apparatus operator of Tower 6 placed a ladder on Side Alpha to a window in Bedroom 3, removing approximately 2/3 of the glass from the opening. The apparatus operator of Reserve Engine 6 placed a ladder on Side Charlie to a window in Bedroom 2, which broke, but did not remove the glass. A chief officer arrived and assumed Command on Side Alpha. Command assigned the second chief, who arrived a short time later to perform reconnaissance on Side Charlie. In his transfer of command radio report, the officer of Reserve Engine 6 indicated that the fire was in the attic. Command confirmed that there were flames visible from the attic ridge vents and flames were visible from both sides. On the interior, the crews of Reserve Engine 6 and Tower 6 experienced a rapid increase in temperature and thickening smoke conditions. The crew of Tower 6, who were exiting to obtain longer tools, encountered flames coming up the open foyer and staircase from the first floor. MAYDAY, MAYDAY, MAYDAY! Due to a problem with his radio, the tower officer, directed his firefighter to transmit a Mayday message. Concurrently, second arriving chief reported a collapse on Side Charlie. While not identified in the report, changing the ventilation profile by opening windows on Floor 2 (possibly based on the assumption that the fire was on Floor 2 or in the attic and the placement of a hoseline by Reserve Engine 6) may have had a negative influence on fire behavior. On the other hand, the placement of ladders to second floor windows by the apparatus operators of the engine and tower provided alternate means of egress for the crews trapped on Floor 2. The next post will examine the actions taken by Reserve Engine 6 and Tower 6 that aided in their escape from the extreme conditions encountered on Floor 2. Earlier this month the Loudoun County Department of Fire, Rescue, and Emergency Management releases a report flashover in a single family dwelling which resulted in injury to six firefighters and one EMS provider. Four firefighters received serous burn injuries, two sustained other traumatic injuries, and the EMS provider experienced minor respiratory distress. This extremely detailed report examines the multiple factors adversely influencing the sequence of events resulting in these injuries. However, the investigation also pointed to a number of factors that positively influenced the outcome of the incident.